Most kids play board games - but how many get to create and design one? 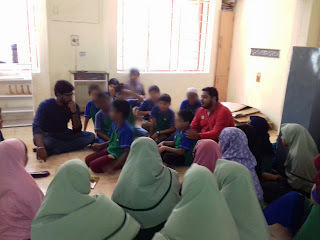 Elementary students at Al Qamar got just that opportunity working with Santhosh of Bambaram Toy Library. They're undergoing a 3 part workshop series of which the first was held yesterday. 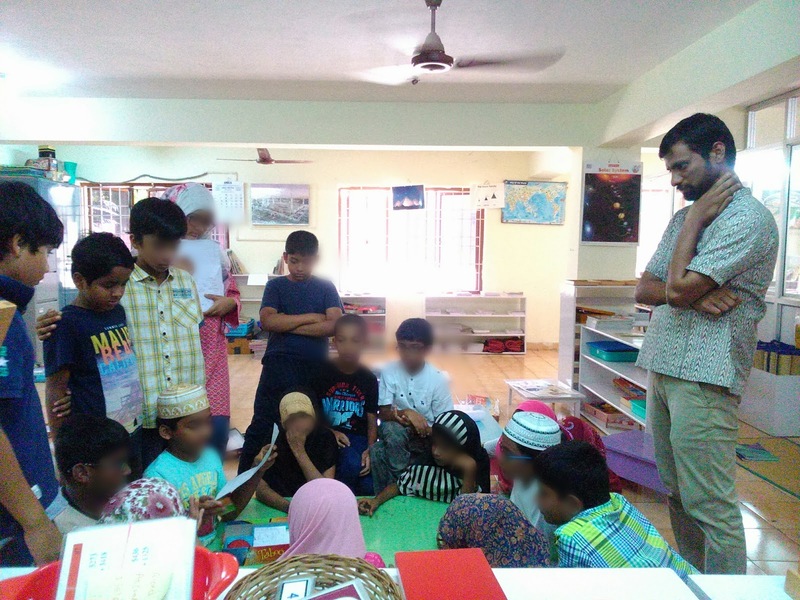 Eventually, they will end up designing their own board game after designing and prototyping mentored by Santhosh. After an ice breaker, children played Scattergories to get a flavour of a board game. Santhosh then handed out different board games - Checkers, Spell-o-fun, Taboo, Rush Hour etc. The challenge - create or modify this into a new game. The kids came up with all sorts of ideas. Some even tested their new game by playing it. One group modified Othello into an interesting one - a player can choose whether to flip the opponent's coins or add some of her own. Another group created new rules for Rush Hour - where an ambulance has to get out. A third team created a chess like game from checkers - where the coins occupy a triangular space in a corner. In the next few workshops, children concretised the ideas they'd developed over the course of the last three weeks. In this session , they drew out their game boards and made game pawns using playdoh. They wrote out their instruction sheets. Guided and mentored by Santhosh, they saw a rough prototype of their ideas taking shape - a feeling of great achievement and satisfaction. Games range from a Trekking Game where teams race to the top of a summit, a home board game where a child seeks to becoming "visible" to her mommy, a race from office to home where the challenge is to spend a certain amount of money, a maze, a fairytale land, one on a carnival, another on some Green Snakes (! ).